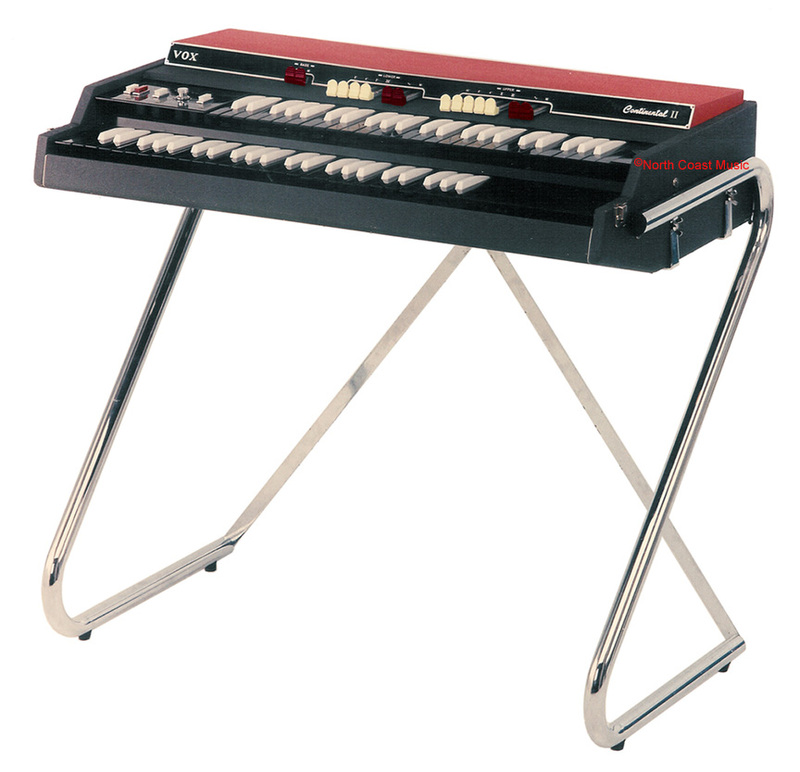 The V303J Continental II was the British made two manual version of the Continental Organ, introduced in 1965. 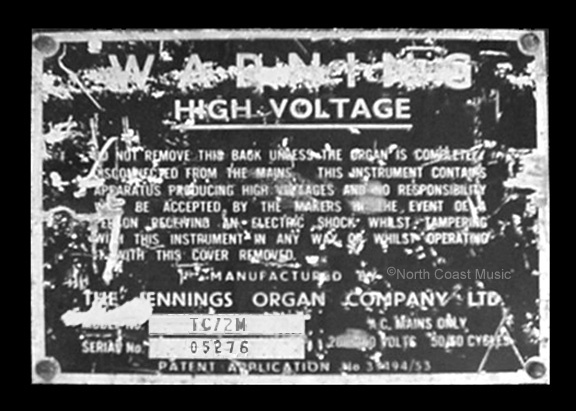 In the US, this organ was known as the "Super Continental." At left is a well worn serial plate from a British made Continental II. The model number: "TC/2M" stands for "Transistor Continental, Two Manual." These organs wee built in the Vox facility in Erith, Kent, UK, near London. By 1967, Jennings adopted the Super Continental name on the nameplate and escutcheons of the Continental II.